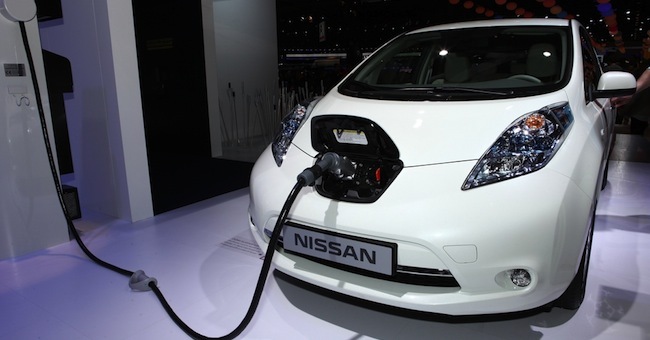 Electric cars are set to replace combustion vehicles. Bhutanese Prime Minister Tshering Tobgay has asked Japanese automakers Nissan and Mitsubishi to help him achieve this goal. For him, "Sustainable transportation will bring citizens happiness." Thimphu (AsiaNews/Agencies) - The Himalayan kingdom of Bhutan has a plan to make its people even happier by spreading the use of eco-friendly vehicles in the country. "We have facilities that can generate renewable, cheaper power using river water," said Bhutanese Prime Minister Tshering Tobgay. "Gasoline is expensive," he added, "and unfriendly to the environment. Sustainable transportation will bring citizens happiness." Earlier this year, the kingdom decided to replace all cars in the capital, Thimphu, with electric vehicles in cooperation with Nissan Motor Co.
Tobgay, who arrived June 29 and departs today, came to Japan to ask the carmakers to help his country reach this goal. He explained that the Buddhist country would introduce Japanese manufacturer-made electric vehicles to improve its "gross national happiness (GNH)," an indicator advocated by Bhutan to measure the quality of life among citizens. Bhutan will hold an international convention in November 2015 to publicise the concept of GNH, according to Tobgay. "We will invite 250 experts from Japan and other nations," he said. "We hope to discuss how to use the indicator in developing political policies as well as better ways to measure happiness."